Thoughts from Brahma Kumaris: To be a master is to be free from one's own weaknesses. 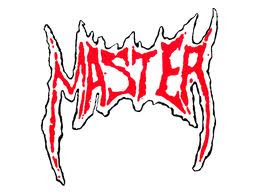 To be a master is to be free from one's own weaknesses. Projection: We are usually under the control of our own weaknesses in a negative situation. We first respond to the situation with our weakness and then try hard to change our thoughts. But we don't find ourselves succeeding and the weakness gets the better of us. Solution: We need to develop the consciousness that we are a master and the weakness within us, our creation, and so it is totally in our control. When we develop this consciousness we will be able to win over our weaknesses easily. Three categories of foods are defined corresponding to the particular energy that exists in them. The first is Satwik or sentient food (explained yesterday). The second group is Rajasik or mutative food - it contains a mutative energy of restlessness, constant movement or change. When this force is consumed, the mind and body become agitated and nervous, unable to calm down and relax. These foods include caffeinated drinks such as coffee and many teas, hot spices, fermented foods and some medicinal drugs. The third group is Tamasik or static food - this type of food has a static force of dullness, inertia, intoxication, and attraction towards sensuality (body-consciousness), decay and death. Death occurs when the other two energies (sentient and mutative) are spent and the static force is the only dominant force. Static foods include meat, fish, eggs, alcohol, mushrooms, onions and garlic. Regard for others makes them our helpers. The one who gives constantly is a true bestower. As is our thought, so we will become. When the mind is healthy the body is healthy too. To judge others is to take law into our hands. A single positive thought can end all negativity.